Now and again we will probably find a video file on the Internet that is divided into various parts, to make it a lot easier to share it. If it comes the case that we want to enjoy the films distributed as described above, without having to launch various files, we can use a tool like Movie Joiner. 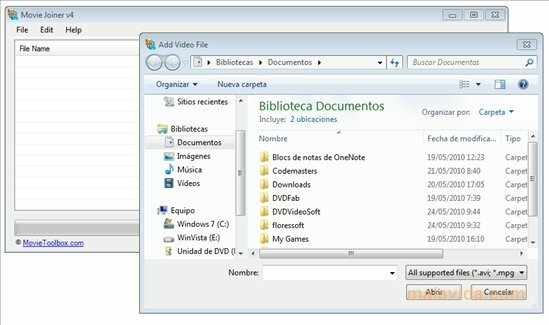 It is an application that has been developed to join various kinds of video files from a simple interface, being only necessary to import the files in which the video file is divided, place them in the proper order and launch the action that will join them. The interface is very simple, ideal for the kind of work that this program carries out, because both the control buttons and the main windows are very simple and intuitive. The program is compatible with MPG/MPEG, MP4, AVI, DivX, WMV, ASF, ASX, WMA, RM, QT, MOV and VOB. 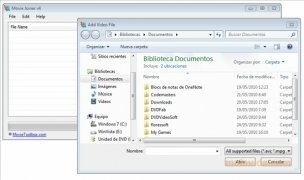 If you are looking for an application that can be used to easily join video files, try Movie Joiner.